From track meets to speaking engagements to dance intensives our family constantly stays on the move. And whether we travel by car, by plane or by train atop the list of goals for a stress-free trip is keeping everyone happy and healthy. I allow the kids to make their own choices for travel entertainment using these packing checklists. 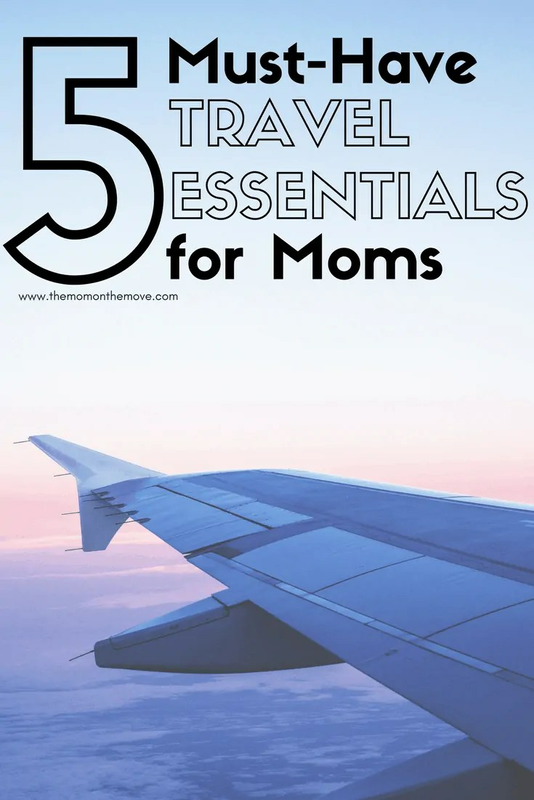 So this is a list of my top travel essentials for moms. This post may contain affiliate links. That means if you click a link and purchase a product I may receive a small commission. I only recommend products that I have used and love and know you will too. Imagine yourself locked in a small space for hours at a time with other people breathing their germs down the back of your neck. If you’re like me the thought of your children spreading you their germs from the back seat of the car is just as frightening as a stranger with a wet cough on an airplane. Yikes. Wipe down seats, tables, and surfaces with a package of bacterial wipes to protect yourself from allergens and germs. As a peanut allergy family, this is critical. We try and fly Southwest Airlines exclusively because they are peanut allergy friendly. You can get a travel size package of wipes from your local dollar store. Because who takes care of mom when she’s sick? And who wants to be sick during a trip? When I am traveling by airplane I always keep a scarf on me for protection from allergens and germs on those flights where people don’t believe a peanut allergy can be deadly. A scarf can also be used to keep warm if you and your family have different opinions on a comfortable temperature. Because I am not using the airline blankets either. And in pinch, a good scarf can be used as a headwrap on a bad hair day. In one of my corporate jobs, I had a client in Oakland, California. Could be for your health also, but definitely for your comfort. We traveled to Oakland once every three weeks. I would always take my Birkenstock slip-ons to ease the discomfort of my swollen after that 4-hour flight. I wish I had learned about compression socks back then. Prevent swollen feet and ankles with a pair of compression socks. I wear the plain ones, but my friends Natasha from Houseful of Nicholes wears these fun ones from Lily Trotters. I might get a pair. Boredom is the killer of motherhood peace. A bored child can ruin a peaceful moment. But when mom is entertained, even the cries of a bored child can be ignored… I mean, go unnoticed. To keep my mind (and ears) occupied, I use the Amazon Suite of Apps, primarily Audible and Amazon Music. Nothing keeps you more entertained than listening to an author read their own book to you on Audible, especially if the author is funny. During our entire flight to NYC, Harold and I stayed entertained by Tiffany Haddish reading The Last Black Unicorn. Music soothes the savage beast, the nervous athlete and the tired mom. Want to get a good nap in on your trip? Create your playlist and turn up the volume. Make sure it’s long enough to make into REM stage before it starts to replay. 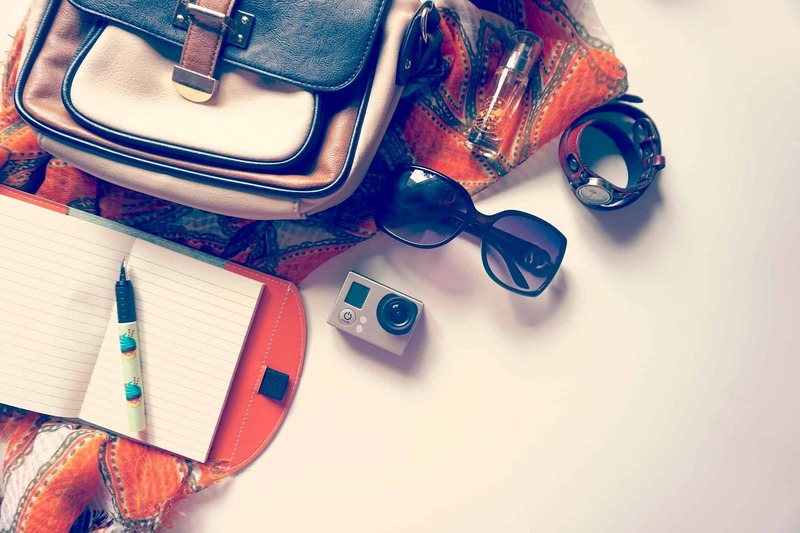 What are your travel essentials as a Mom On the Move? What have I missed that you find helpful?